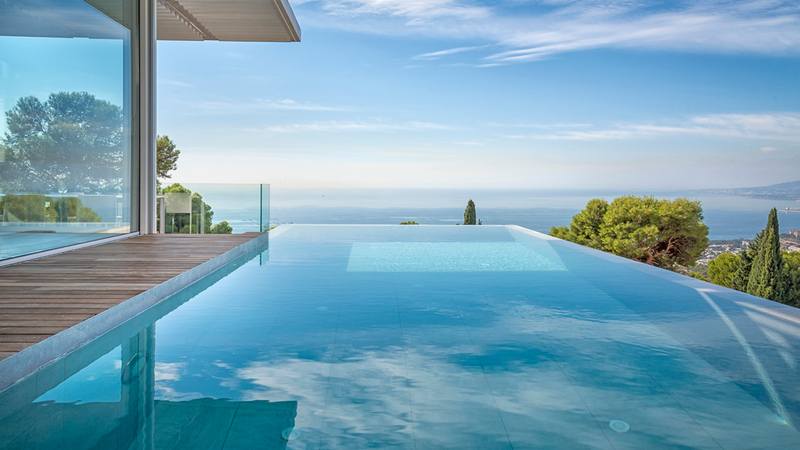 Trend: Swimming pools with natural inspiration that stand the test of time. 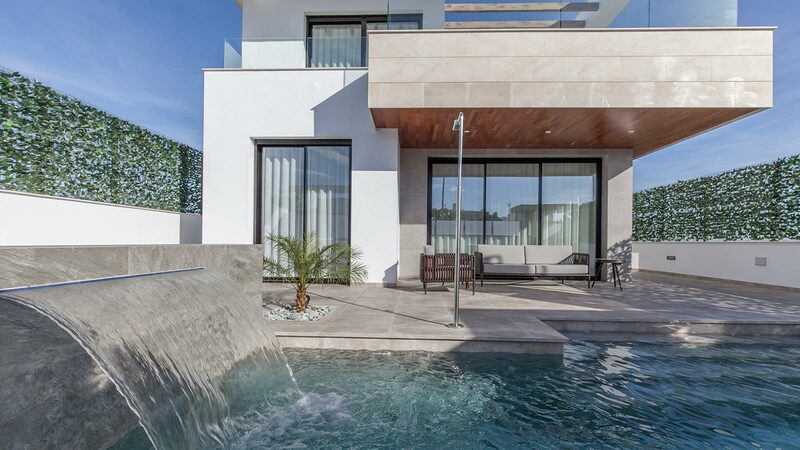 It is under the premise of joining the avant-garde design with the latest technology that the different firms that make up the PORCELANOSA Grupo offer several aesthetic constructive solutions in order to create the most captivating summer pools. Natural inspiration, which remains unaffected over the years. Life evasion. The fact that the beauty of a pool remains intact over time mainly depends on the quality of the materials that it has been built with. Hence, Butech has developed Epotech Aqua, an innovative fully waterproof epoxy which remains unaffected by chlorine and other substances. Among the results achieved by this product, it is worth highlighting the fact that it keeps the original colour, which makes it possible to unify colour choices in any ceramic. The warmth of the handmade pieces is portrayed in the natural stone floor tiles from L´Antic Colonial. The ageing limestone which characterises its surface, reproduces the environment and the rich plant life of the natural pools. The material, which has been protected with the Bioprot technology, is also suitable for wall tiles due to its high resistance to humidity. 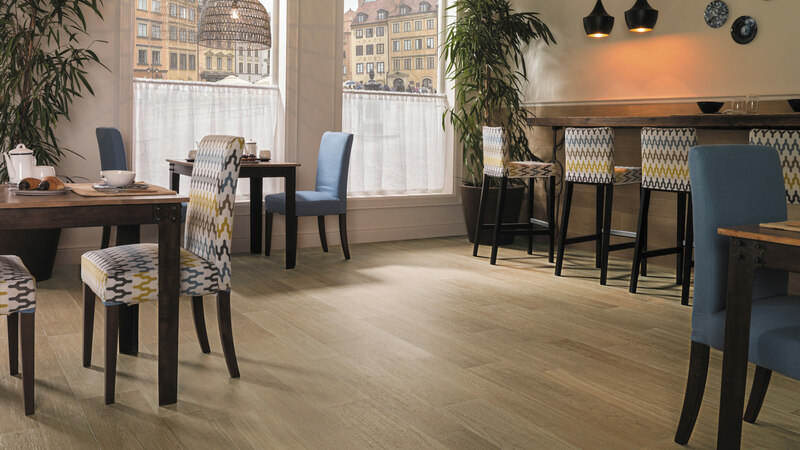 The Forest Acero and Oxfort Antracita collections, which belong to the Par-Ker ceramic parquet, turn out to be the perfect choice for those atmospheres which encourage us to relax and switch off from it all. 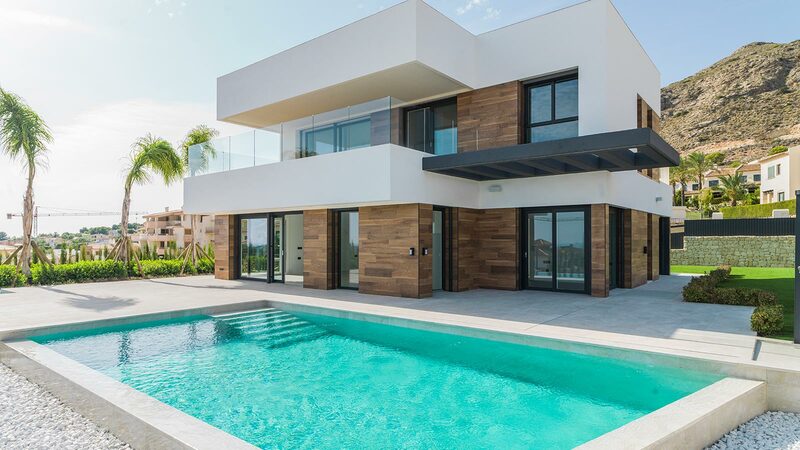 The detail with which the wood veining is created makes the outdoor pool structure balanced in its own structural framework. 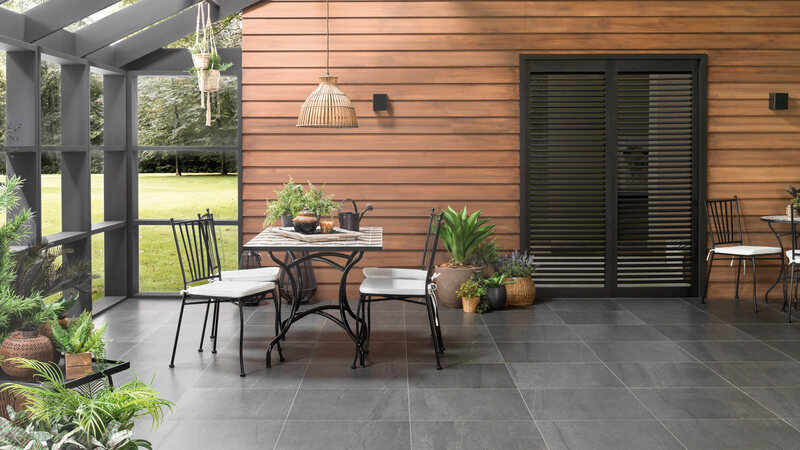 The resistance and quality of the sandstone which characterise the porcelain tile from Urbatek, find the most sustainable option in the STUC collection. STUC contains 35% of recycled material and is available in the following finishes: Polished, Nature and Texture. 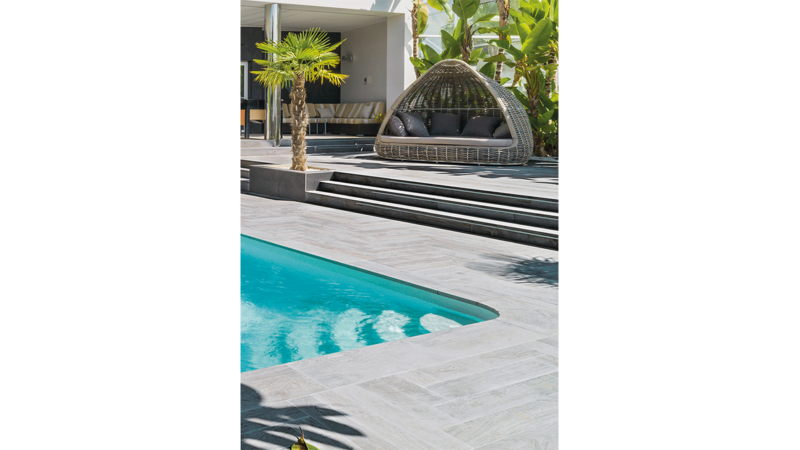 The naturalness with which the Madagascar and Newport collections from Venis reproduce natural stone, contrasts with the flow of water. 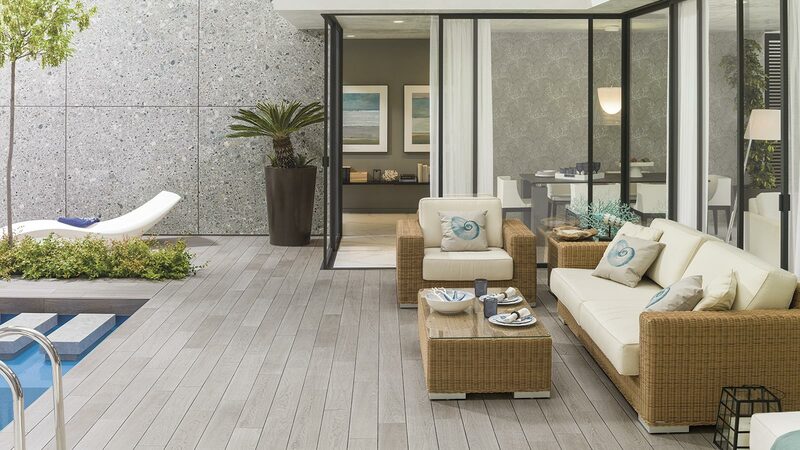 The ideal material to structure those spaces which are used for relaxing in. 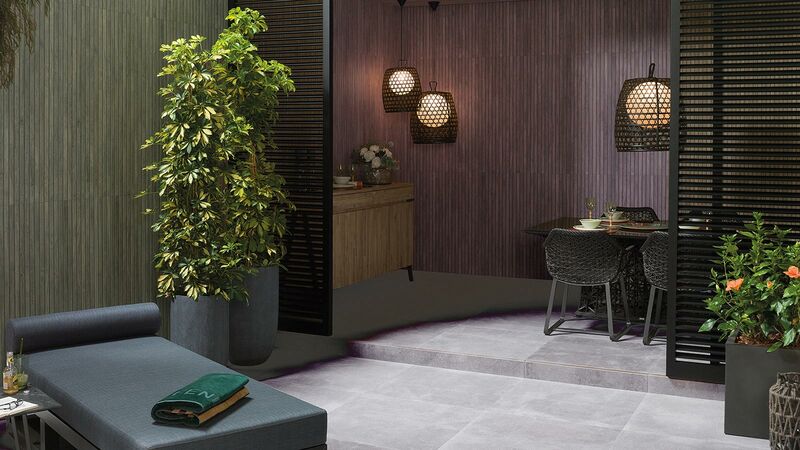 For its part, Baltimore provides the space with serenity and elegance though its cement-inspiration finish.